Pintabians come from North America. They are a cross between Arab horses and Pintos with spotted coats. Only horses that are 99% Arab and have a �tobiano� coat pattern can be officially registered. Due to this strict rule, only a few hundred horses have been registered in the studbook. 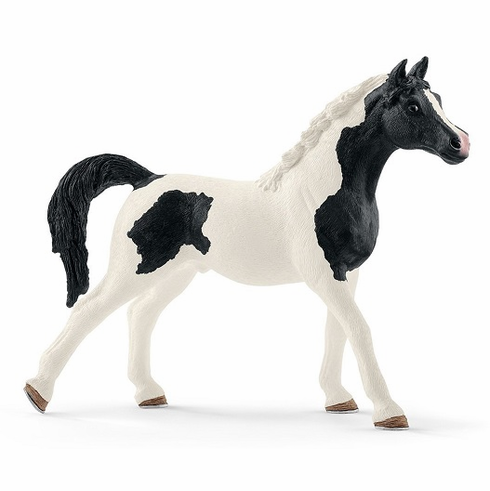 The Pintabian Stallion measures approximately 3.9 inches tall.